Taking a pet out of its home environment for care is often a stressful occasion for both animal and owner. 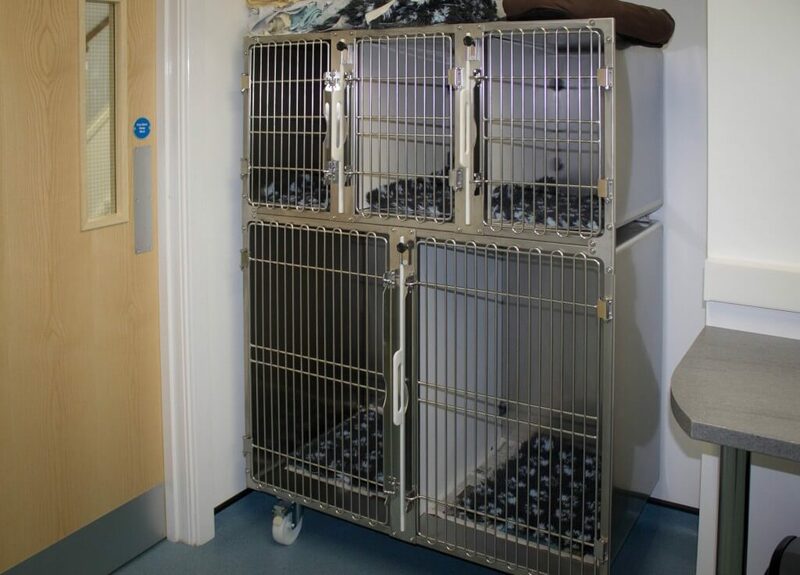 That’s why at Knutsford vets in Cheshire, we offer the best kennel facilities available for all animals to ensure they are as comfortable as possible before, during and after treatment. 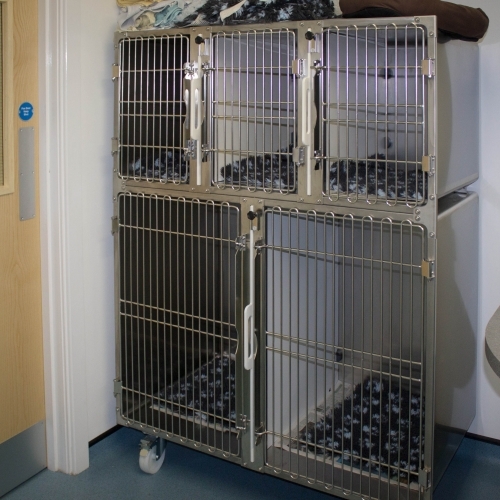 In order to minimise stress, at Knutsford Veterinary Surgery we offer comfortable Vet Beds and a range of kennel sizes in order to find one that suits your cat, dog or rabbit, all in a state of the art temperature controlled ventilation hospital ward. 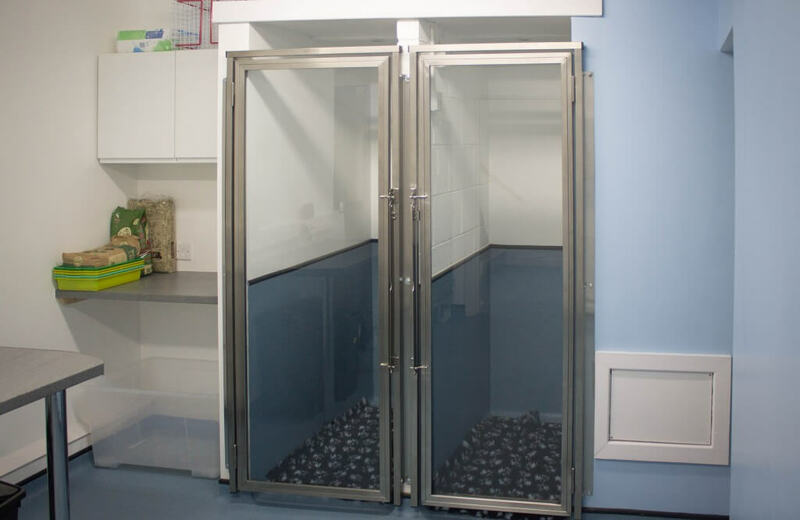 Furthermore, we have a range of walk-in kennels which offer full height glass doors and pheromone diffusers to help further reduce . 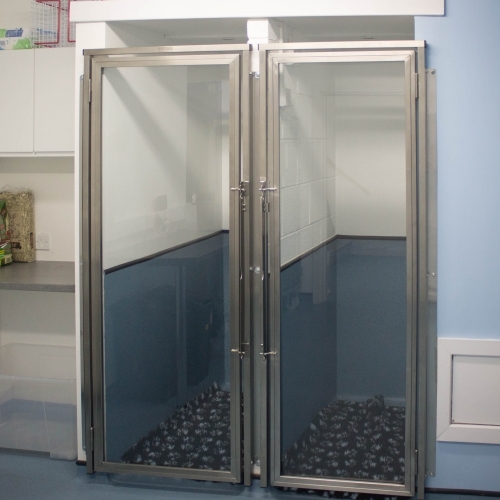 In order to ensure that all pets have the best chance of recovery before, during or after treatment we also have a separate isolated area with negative pressure ventilation. This is to ensure that any animals with a compromised immune system are kept safe from infection, or a pet with a contagious condition is kept in comfortable quarantine whilst keeping them and our other in-patients safe and secure. To find out more about our top class kennel facilities, contact Knutsford veterinary surgery on 01565 337 999.